World Information Architecture Day is a one-day annual celebration hosted by the Information Architecture Institute and held in dozens of locations across the globe. We are dedicated to the empowerment of local leaders. Our celebrations inspire the global growth of information architecture as a community of practice and we value diverse thoughts and thinkers in our celebrations. Tampa Bay joined the celebration in 2015. Get to know the team of IA enthusiasts behind World IA Day Tampa Bay 2019. Graphic designer by day, event planner by night. Carlisle Stoup attended her first World IA Day in 2016. This event sparked a passion for information architecture and systems thinking. Ever since, she has volunteered on the Tampa Bay leadership team and, with the support of a friend and mentor, continues her education of IA. As a graphic designer, this new tool set helps her to create work that doesn’t just strive to look good, but be good. Amy Espinosa is passionate about bringing awareness to information architecture. She is active in the IA community both locally and globally and currently serves as the Treasurer for the Information Architecture Institute. 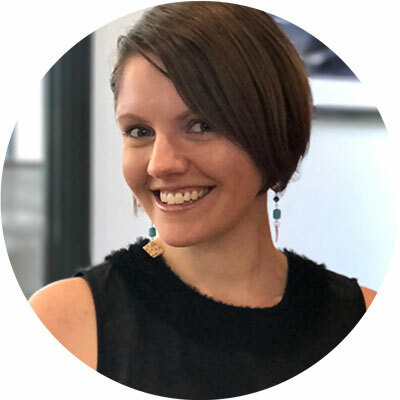 In her professional life, Amy founded Dots & Cubes, a consulting firm specializing in information architecture applied within urban environments. Megan Danak is an Administrative Librarian at the Tampa-Hillsborough County Public Library. She has worked with teens and toddlers in libraries, managed branches and social media, and led the team that launched The Hive, THPL’s maker initiative. She currently coordinates public tech programs with THPL’s Learning Experiences department. Tricia Barnes is a ScrumMaster working at a local Tampa startup, ClearlyAgile, assisting IT teams within corporations with their Agile Transformations. In her free time, she spends time with her daughters, is an avid reader and an active softball mom.